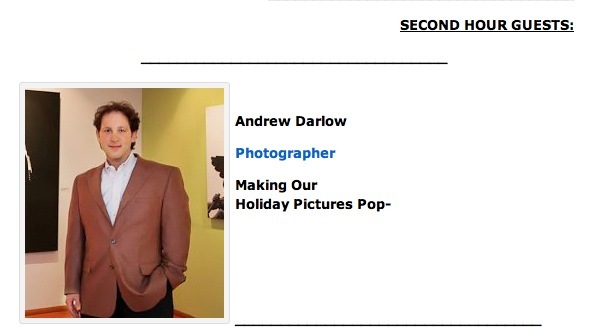 I’m very happy to announce that I was recently interviewed by Debi Davis of Mind Your Own Business Radio on the topic of how to take better holiday photos. The interview runs about 16 minutes, and you can listen to it here: via this link In the interview I share various tips for photographing people, pets and more during the holiday season. I’m very happy to announce that I will be guest author for the month of September on DogRead. DogRead is a free, moderated online book club hosted on Yahoo!Groups where authors and members participate in an interactive workshop format featuring a new dog-related book each month. I’ll be answering questions and commenting on photos posted on our Flickr group page related to the topic of photographing dogs, people and other pets. I invite anyone who is interested to become a member of DogRead. The group was founded in March of 2000 by Treshell Jones and currently has over 5700 members. Members can search the extensive archive of more than 70,000 posts from over 130 guest authors and members. 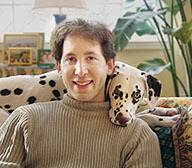 Many DogRead authors have been recipients of prestigious writing awards and have appeared on The New York Times Best Seller lists. For more information or to become a member, visit http://pets.groups.yahoo.com/group/DogRead . I’m very happy to announce an event being held this Saturday (4/10/2010) in southern New Jersey. I’m one of many artists who was asked to donate some artwork for the Artistic Expressions Art Auction, an event that benefits a great non-profit rescue organization called Lilo’s Promise. The piece I donated is a 16×20 matted and framed image of Elwood (image shown below). 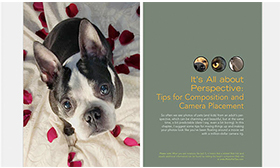 I also donated a few copies of my book, Pet Photography 101: Tips for Taking better Photos of Your Dog or Cat (Focal Press). Date/Time: Saturday, April 10, 2010 at 6:30 p.m.
Picture your adored pup in an abusive home or facing euthanasia after a long stay at an animal shelter. Lilo’s Promise Animal Rescue, located in Voorhees, NJ, removes dogs from these situations, loves and trains them until they are ready to take the next step toward being a treasured pet. 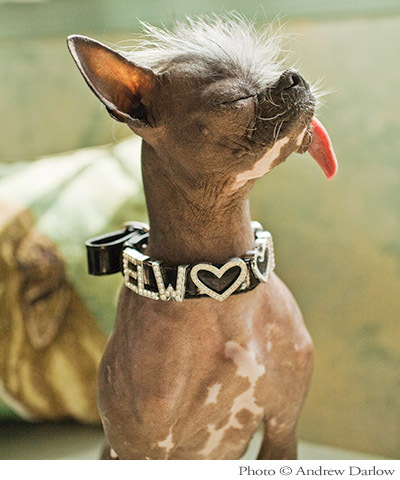 Lilo’s helps all breeds, but specializes in our beloved pit bulls. These misunderstood and mismanaged kids get trapped in the system and need every advantage they can get. As chair of the The Artistic Expressions Art Auction, I am dedicated to raise the funds needed to achieve Lilo’s goal of doubling the amount of dogs saved in 2009. While this is a huge undertaking for us, we are determined to reach our goal to help the dogs that need us. Beginning at 6:30 p.m. on April 10, attendees are invited to whet their palates with a Wine Tasting and Meet the Artists Hour sponsored by local vendors. A Live Auction, beginning at 7:30 p.m. will feature an amazing and eclectic assortment of art, with opening bids ranging from five dollars into the hundreds. A current listing of our local, national and international artists donating work is available on our website at www.lilospromise.com. Please join us for an exciting evening of food, wine and art and help Lilo’s Promise continue to rescue homeless animals. Tickets are complimentary by request only through our website (lilospromise.com). 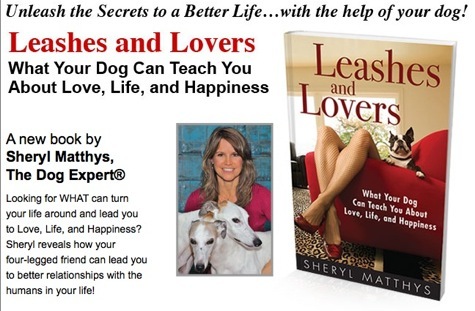 I recently learned about a new book by Sheryl Matthys entitled: Leashes and Lovers, What Your Dog Can Teach You About Love, Life, and Happiness. I’ll be attending the launch party for the book this evening (Tues, 3/30) in New York City (click here for details). I’ve donated a photo session for a raffle they are running at the event. Party proceeds will help benefit The American Humane Society. Below is some information about the book as well as a way to get bonus gifts and be eligible for prizes when you order the book on Wednesday, 3/31/2010. You’ll also be supporting a great cause because on March 31, each order supports the American Humane Association whose mission is about the human-animal bond much like the message of the book. Prizes and Bonus Gifts include: website creation, online shopping sprees, a modern platform dog bed, personalized dog birthday party, sterling silver necklace with yellow sapphires, gift certificates, business tips from Rich Dad, Poor Dad’s Robert Kiyosaki and Entrepreneur Mack Burnett III, Pet Photo Secrets, coaching advice, audio of World Peace Diet, dog training tips and much more!